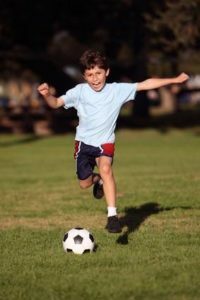 Physical therapy is appropriate for adults and children participating in any organized sports. It’s a year-round solution that keeps individuals in good physical condition for whatever activity they choose to enjoy. The human body is susceptible to a myriad of injuries ranging from strains, sprains and fractures to injured muscles and dislocations. Physical therapy will keep every part of the body ready to participate in activities ranging from rock climbing to golf. A physical therapist can show patients how to perform motions that reduce the potential for injury at work, home and play. Physical therapy is so effective that world-class Olympic competitors regularly utilize the therapies available to keep themselves in peak condition. 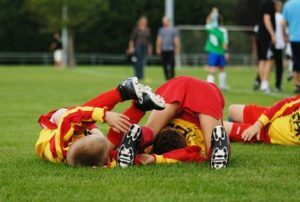 Injuries have the potential to sideline even professional athletes for several games, the season, or even end a career. Physical therapy can determine a patient’s strengths and areas of weakness that could result in an injury. Your physical therapist has a variety of evaluations and assessments that can be conducted to determine if you’re not moving correctly and increasing your risk of an injury. He/she can instruct you in ways to move that reduces the potential for an injury that will also improve your performance. Therapeutic exercises are beneficial for strengthening the core, providing you with increased stability, coordination and endurance.